Hamilton return man Brandon Banks looked like he had created one of the most dramatic moments in Grey Cup history with 32 seconds left in Sunday's game against Calgary. Then the flag showed up. If not for a push in the back, the 102nd Grey Cup would’ve been very different. 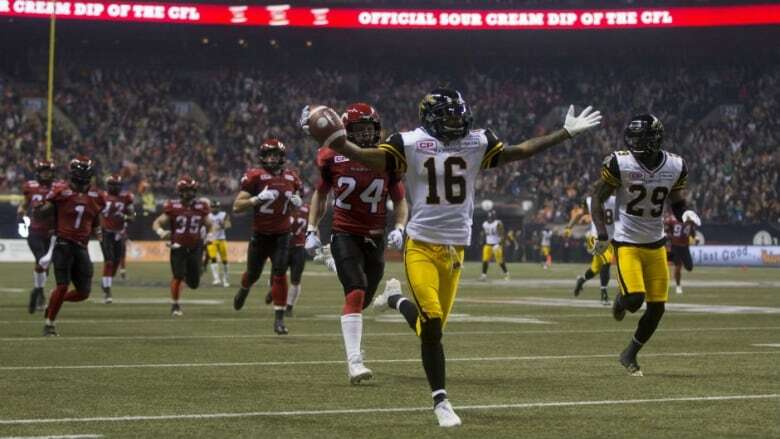 Brandon Banks, he of two return touchdowns in the East Final, looked like he had capped one of the most dramatic moments in Grey Cup history with 32 seconds left. 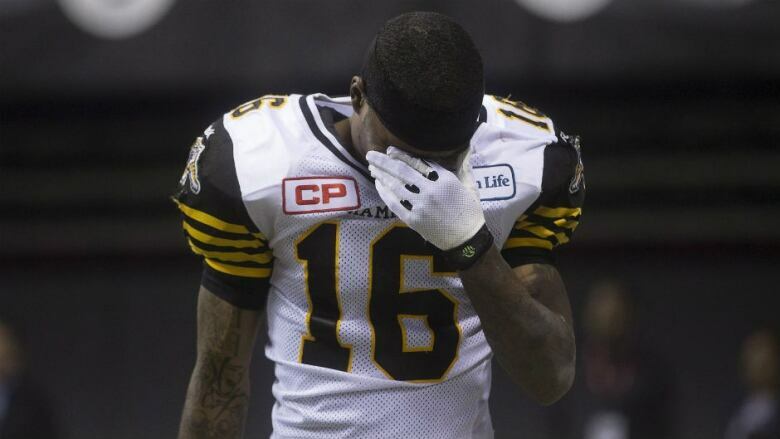 He returned a punt 90 yards for a touchdown that would’ve given the Hamilton Tiger-Cats their first lead of the game. But then everyone saw the flag. A flag that’ll haunt the dreams of Ticat fans everywhere. Taylor Reed will suffer the most. He committed the penalty that brought the touchdown back, pushing a Stampeder defender in the back which helped spring Banks for his electrifying touchdown run. The flag was thrown immediately, unbeknownst to Banks and several delirious Ticats in the endzone. "I didn't make my block," Reed told reporters after. "I made it close enough that they called a penalty on it. That's 100 per cent my fault. I've got to be better than that." Banks was distraught after the play was called back, and nearly inconsolable after the game ended. He left the locker room before reporters entered. The call will also give Saskatchewan Roughrider fans nightmare flashbacks. It was strangely similar to the infamous “13-man” penalty that took back a missed field goal which would’ve won the Riders Grey Cup in 2009. Montreal nailed the re-kick and the Alouettes won the trophy.